When we were searching through the Games category on the App Store the other day, we found a new fun game and we thought to ourselves that we must share it with you today. It is called Tropical Dash and it can entertain you and challenge you at the same time. The developer, Peter Sairangka, made this game with amazing graphics and engaging sound effects and we think it is the perfect time killer for any age. The Tropical Dash gaming app will addict you to the fullest with its great gameplay. All you have to do is download it and have it started. Your main goal is to climb as higher as you can in order to get higher scores. 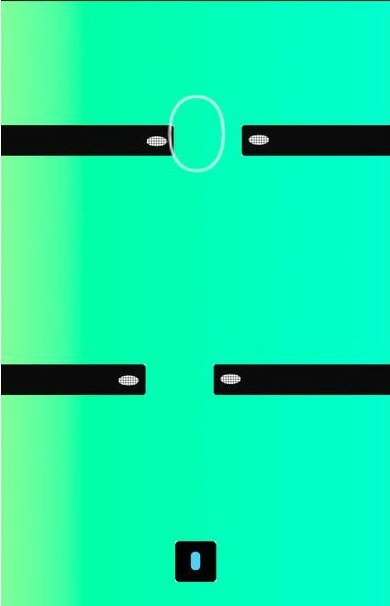 You climb high by dodging the black walls you see on your screen. Hold your finger, move it left or right, climb, dodge and try to be the best player ever. Let Tropical Dash take you into a tropical world, full of challenges and fun. You can share the game with your family members and all of your friends and make it even more entertaining. Challenge them, compete and compare your results. Try to be the best player worldwide, download Tropical Dash from the App Store today!